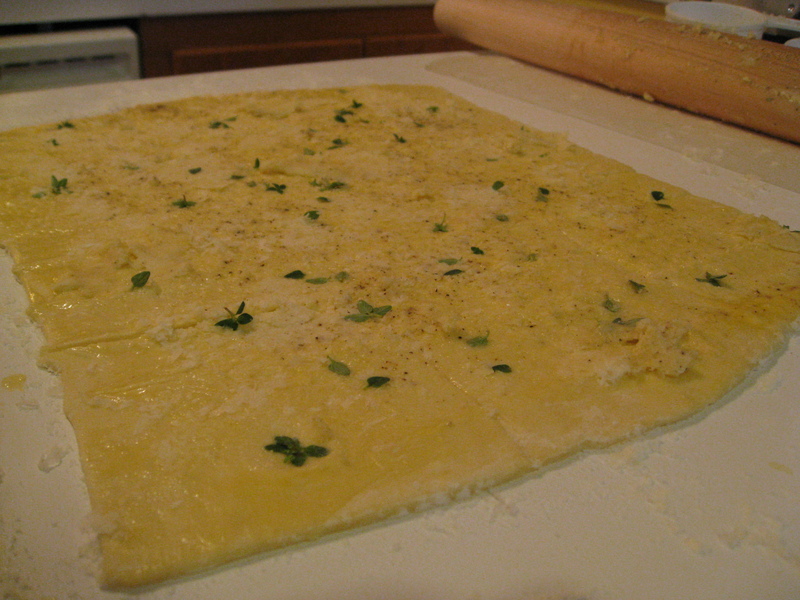 Roll out each sheet of puff pastry on a lightly floured board or counter until it’s 10×12 inches. Beat the egg with 1 TBS of water and brush the surface of the pastry. Sprinkle each sheet evenly with 1/4 cup of Parmesan, 1/2 cup of Gruyere, 1/2 tsp of the thyme, 1/2 tsp of the salt and some pepper. With the rolling pin, lightly press the flavorings into the puff pastry. Cut each sheet crosswise with a floured knife or pizza wheel into 11-12 strips. 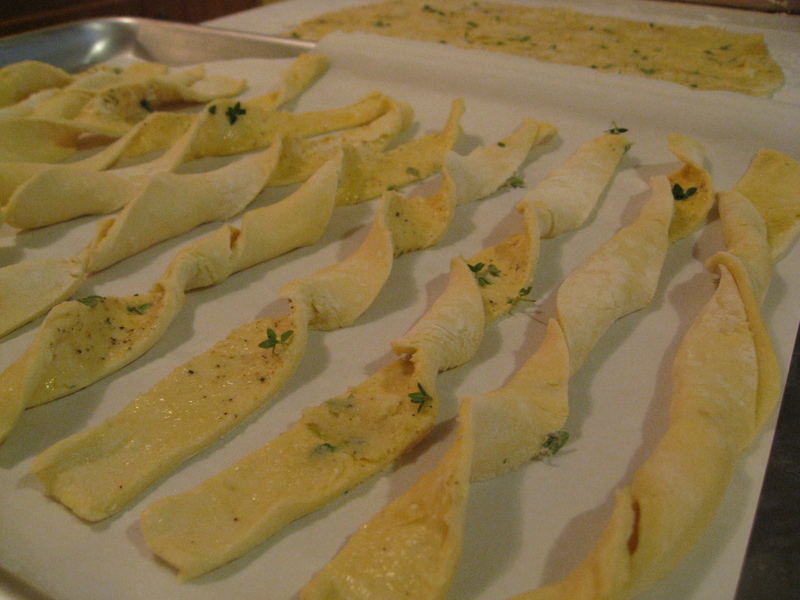 Twist each strip and lay on baking sheets lined with parchment paper. 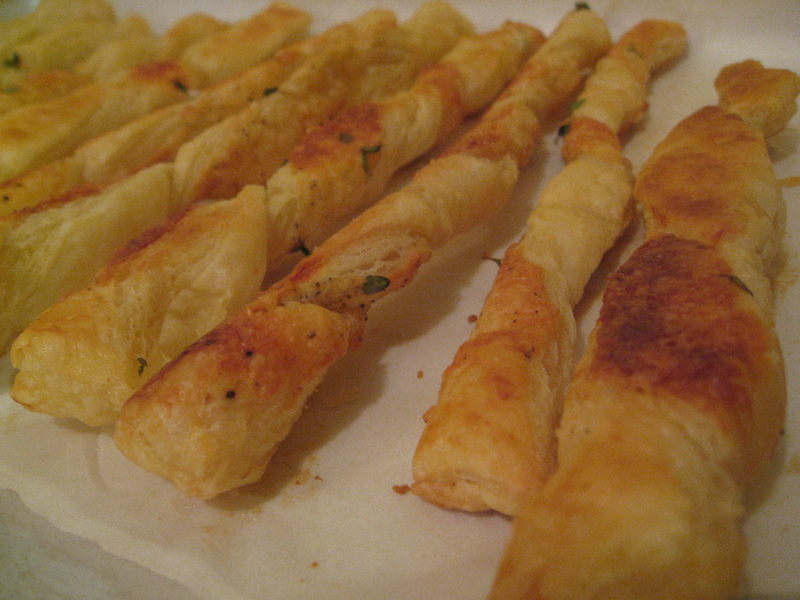 Bake for 10-15 minutes, until lightly browned and puffed. Turn each straw and bake for another 2 minutes. Don’t overbake or the cheese will burn. Cook and serve at room temperature. Step 3. Bake, cool and enjoy! Are these low cal? They look delicious! Those look amazing, I might even have to try out cooking some of my own! !